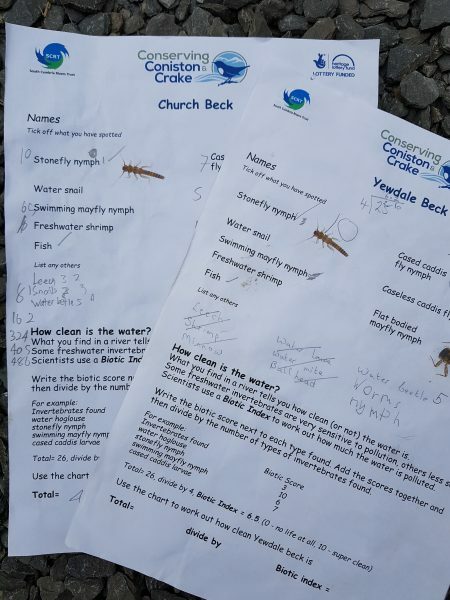 Year 7 students from John Ruskin High School spent Monday 9th July learning about freshwater invertebrates and sampling two becks that flow into Coniston Water. Prior to the day I spent time creating a PowerPoint presentation for the first session of the day as well as planning the day out with the lead teacher Mrs Mallett, looking at risk assessments and organising volunteers to help. I also designed a worksheet for the students to use on the day. Amy, who’s spending the summer with us to gain experience before she return for her final year at Aberystwyth University, was a great help with some of the preparation work too. The morning session started with the presentation to introduce the students to freshwater invertebrates, to show how they are adapted to living in freshwater and how they can be used to indicate water quality. The students were split into groups of three and given the responsibility of looking after their sampling kit of net, tray, id guide, worksheet, clipboard and pencil. The school, ideally placed in Coniston, meant that the students could walk down to the shore by the Bluebird Cafe where we based ourselves for the outdoor session. All the students and the equipment made it back to school safely and in one piece! The last session involved the students looking at some of the invertebrates under microscopes helping them to make detailed sketches. It was a great day, outdoor learning is so valuable to students, helping them make connections with their local environment. Inspiring? Two of the students were even asking about doing river sampling as a career “you mean you can get paid for doing this????”! As activity leader I had a brilliant day, it all worked to plan and the students were amazing – not a moan or a sigh of boredom was heard, no-one fell in and there were plenty of smiles. 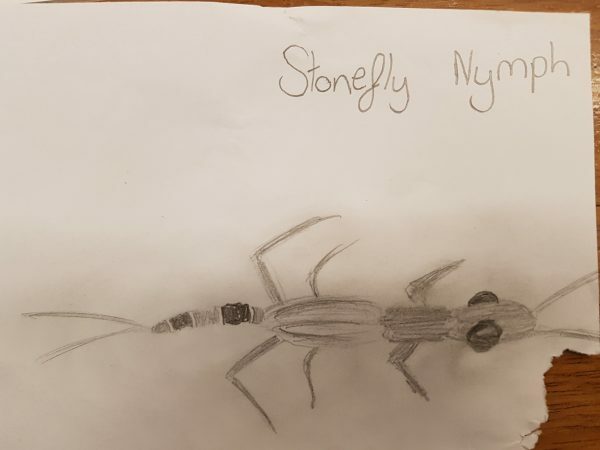 The work started with Year 7 will continue in the Autumn Term as Year 8 with an art project based on freshwater invertebrates.